Marc River and Michael Soyza both came up big in the #APPTManila at @PSLiveManila. The Asia Pacific Poker Tour (APPT) Manila continued this week at PokerStars LIVE Manila. We’ve already covered Mongolia’s Tsolmon-Erdene Ochir and Singapore’s Tzai Wei Phua both winning Platinum Passes, and a third was awarded on Wednesday. 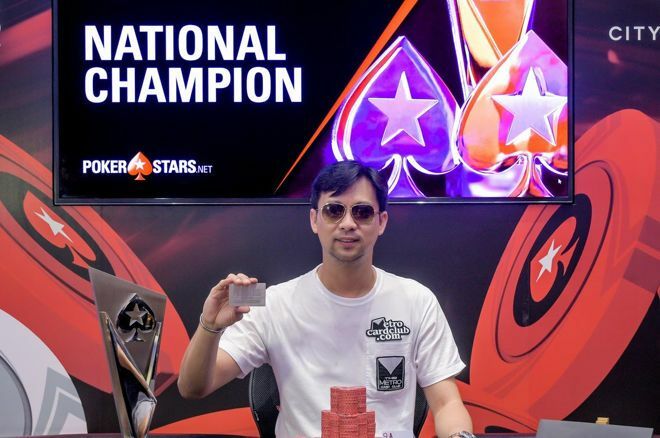 Marc Rivera, a 44-year-old Filipino poker pro, bested a field of 829 entries to win the APPT Manila National for ₱4,559,000 ($86,000) and a $30,000 PSPC Platinum Pass. To win, Rivera had to endure a two-hour heads-up battle against India's Akshay Nasa. In the final hand, Nasa moved all in with ace-three offsuit and Rivera, a 12-year veteran of the game, called with ace-nine suited. Rivera flopped a nine and held to claim the title. He continued: "We were all together during the World Series; that was the first time that Mike won a bracelet for the Philippines and it has inspired a lot of players, including me. It’s probably this inspiration that made me win in this event." 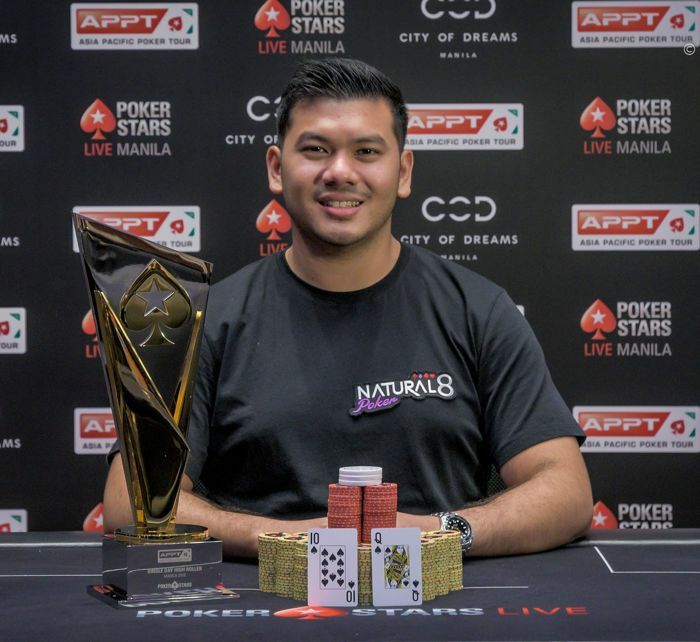 Another tournament that wrapped was the APPT Manila as the ₱150,000 ($2,900) Single Day High Roller, a tournament that drew 86 entries and generating a prize pool of ₱11,511,960 ($217,041). Among those to compete were Team PokerStars Pros Celina Lin and Randy Lew as well as World Series bracelet winner Mike Takayama. All three made the final table, with Lin and Lew exiting in seventh and sixth place respectively. Takayama went deep and made it to heads-up play against Malaysia’s Michael Soyza, who this past summer won the $1,600 MSPT Venetian for $588,249. Both players began the match fairly even in chips but before long Soyza pulled out to a lead. In the final hand of the tournament, Takayama moved all in with ace-six suited and Soyza called holding queen-ten offsuit. A queen on the flop gave Soyza the lead and he held through the turn and river. The win marked Soyza’s second High Roller title and third overall PokerStars LIVE victory. "What can I say, I'm running good," said Soyza. Meanwhile, Takayama had to settle for second place and ₱2,251,000 ($42,439) in prize money. The silver lining is that his finish essentially locks up his quest to become the 2018 Asia Player of the Year, a race that concludes at the end of this series. The APPT Manila runs through August 12 and award two more Platinum Passes to the PokerStars Players No-Limit Hold’em Championship (PSPC) in the Bahamas in January. Those passes will be given away to the winners of the APPT Main Event (₱20,000,000 Guarantee) and Saturday SuperStack (₱3,000,000 Guarantee). Free Cash and 100 Free Spins: Activate NOW!